Short sales, filing for bankruptcy, and a deed in lieu are a few different ways homeowners can avoid foreclosure. 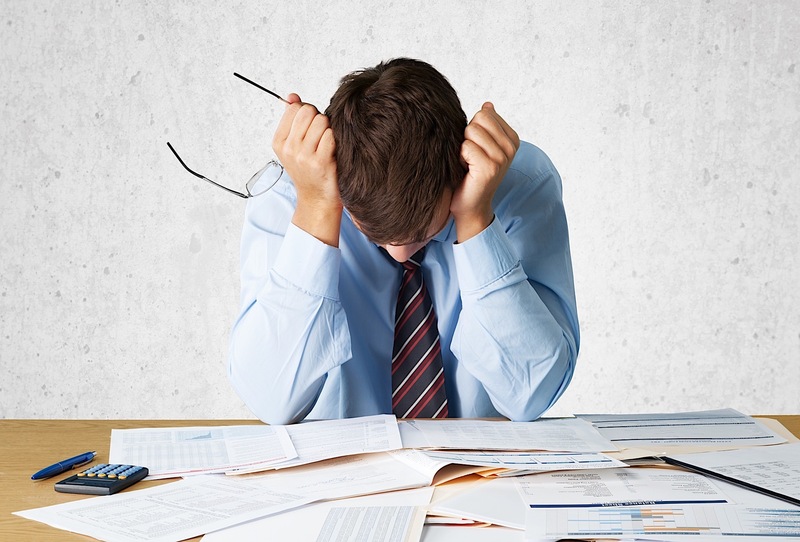 The difference between a Chapter 13 bankruptcy and a Chapter 7 bankruptcy is simple. Filing a Chapter 13 will accomplish the goal of saving a homeowner’s property while filing a Chapter 7 will stall the foreclosure process, giving the homeowner more time to figure out his or her options. Keep Your Home California is just one example of a foreclosure assistance grant offered to homeowners at risk of losing their homes. If you’re a homeowner, or you know a homeowner, whose home is being repossessed by the bank, it’s crucial to ask the question, “how to avoid foreclosure” and how can I keep my home?” While it might feel like the most challenging thing you’ve ever had to face, it is important to do everything you can to stop the process. Use our homeowner’s guide to understand your rights and use our tips to hopefully prevent foreclosure all together. Short Sale. If you want to avoid foreclosure, consider finding a buyer who is willing to short sale your home. Asking your bank to consider a reasonable short sale will save them time, effort, and trouble of finding a qualified buyer. 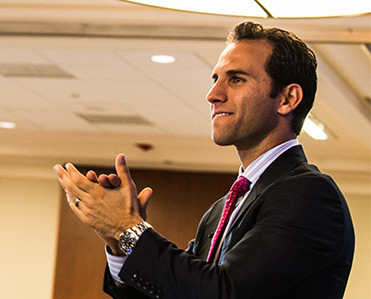 Explain to your lender that it may be difficult for them to find a buyer at auction. If they want to avoid the risk of keeping your property on their books, a short sale should look like the more appealing option. Even if your lender has initiated the foreclosure process, you should continue to seek out buyers who might be interested in purchasing your property. Bankruptcy. Filing for bankruptcy will stop the foreclosure process dead in its tracks. 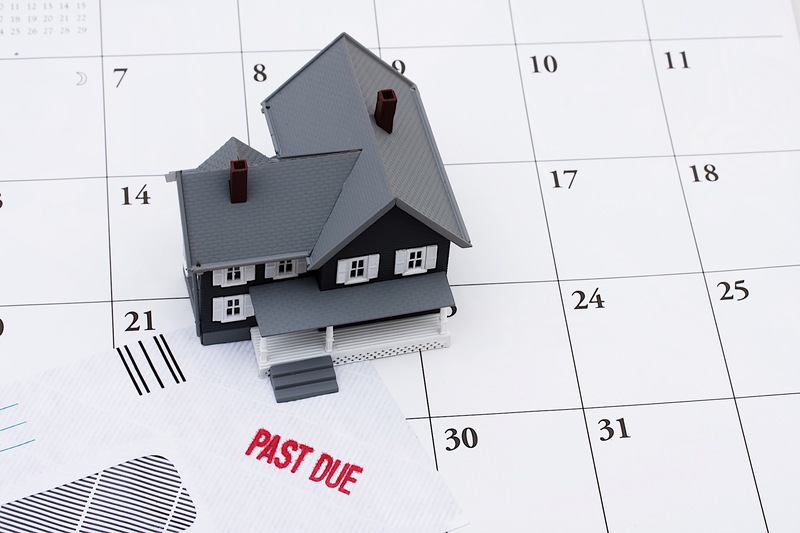 If you file bankruptcy, federal law states that any debt collectors, which includes your mortgage lender, must halt continuing collection activity. This might sound like the best options — and for some homeowners it can be — however, keep in mind that filing bankruptcy won’t let you off the hook forever, it will simply pause the foreclosure process for a reasonable amount of time. You, your bankruptcy trustee, and your mortgage lender will eventually have to work together to create a fair repayment schedule. Be sure to consult with a bankruptcy attorney before filing to ensure its the best route for you. Deed In Lieu. A deed in lieu of foreclosure is exactly what it sounds like: you, the homeowner, voluntarily signs the deed of your home over to the bank. Sound simple, right? Unfortunately, a deed in lieu still has the same effect on your credit score as a foreclosure and, often times, banks won’t even accept a homeowner’s request for a deed in lieu of foreclosure. Why? Well, banks are reluctant to go down the deed in lieu of foreclosure option for a number of reasons. Firstly,, the bank will have to pay off any second or third mortgages or home equity lines of credit before fully carrying out the a deed in lieu if they choose to execute this option. Second, the lender wants to be sure that your financial stress is true and that you are not faking poverty. Therefore, a deed in lieu is almost always only performed if your home has been on the market and unable to sell for a several months. Unless foreclosure is imminent, it may be difficult to get approved for a deed in lieu. Lease Option. A lease option scenario looks like this: a buyer becomes your tenant (as you continue to own the property) until the buyer has saved up enough to purchase your home. In some situations, the buyer will make a one-time, lump sum payment upfront, paying you to obtain the option to purchase your home. You can apply this option payment to your mortgage. Then, the buyer will pay you their monthly rent payments which you can also use to make your mortgage current. To successfully use a lease option to stop the foreclosure process, you must negotiate a renal payment that covers most or all of your mortgage payment, property tax and insurance obligations. The difference between a Chapter 13 bankruptcy and a Chapter 7 bankruptcy is quite simple — Filing a Chapter 13 will accomplish the goal of saving your home while filing a Chapter 7 will stall the foreclosure process, giving you more time to figure out your options. A Chapter 13 bankruptcy allows homeowners to restructure their debts and pay off that debt over a three to five year period. This option may give homeowners a chance to stay in their home because they can repay any delinquent mortgage payments through their debt pay off plan. A Chapter 7 bankruptcy, on the other hand, will likely not save a homeowner’s property from foreclosure; however, it will give them more time to stay in the home without having to make payments. This way, homeowners can save up some extra cash for rent payments after the bank repossess their property. Filing a Chapter 7 also eliminates a homeowner’s personal liability for the mortgage debt, meaning they won’t be liable for any deficiency remaining after the foreclosure. Educate Yourself. The last thing any homeowner should do is hide their head in the sand and ignore the problem. Understanding the foreclosure process as well as all your options will allow you to stay ahead of the game. 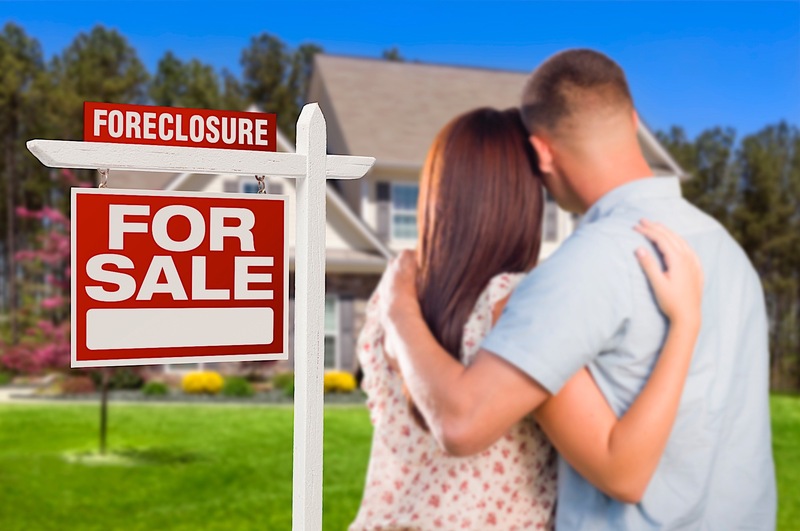 Remember, the further behind you become, the harder it will be to stop the foreclosure process and likelihood of losing your home will increase. Talk To Your Lender. The bank doesn’t want to repossess your house as much as you don’t want them to. So give your lender a call and ask about the options they have to help borrowers through difficult financial times. Contacting a HUD-approved housing counselor can also be helpful. These counselor’s offer their advice free of charge and can help you understand the law and your options as well as help you organize your finances. Budget. Keeping your house should be your first priority. This means, other lifestyle luxuries you may be used to should be put on pause until you’re back above water. Review your finances to figure out where you can cut back and then create a tight budget and stick to it. Cable, memberships, and entertainment are a few examples of “optional expenses” you might consider cutting. Identify Your Assets. Do you own any other assets besides your home? This might include a second car, expensive jewelry, or a whole life insurance policy. If so, you may consider selling these items for cash to help reinstate your loan. Perhaps your true assets lie in your skills and abilities. Can you put these assets to work by getting a second job? Avoid Foreclosure Prevention Scams. If any firm claims they can stop your foreclosure immediately if you sign a document appointing them to act on your behalf, beware! You should never have to pay fees for foreclosure prevention help. Use that money instead to pay off your mortgage. Know Your Rights. Find your loan contract and other documents and read them carefully. Your contract should clearly state what your lender may and can do if you can’t make your payments. Foreclosure laws and timeframes vary by state, so be sure you’re up to date on your state’s rules. To avoid a deficiency judgment in foreclosure, homeowners must either consent to foreclosure, file bankruptcy, or short sale. If a homeowner is still in the middle of his or her foreclosure process, they have the option to fight the foreclosure by hiring a lawyer to help them obtain a loan modification or engage in a foreclosure defense. But let’s backtrack and first define a deficiency judgement. A deficiency judgement, in its simplest form, is when a homeowner’s house sells during foreclosure for less than the homeowner owes his or her lender. For example, if a homeowner’s property is worth $100,000 but only sells for $50,000, the $50,000 difference is called a deficiency. If a homeowner has this type of judgement against them, they are personal liable for the amount are legally required to pay the money. If a homeowner fails to repay the deficiency, his or her lender can garnish their wages, bank and checking accounts and file a judgement lien against their personal property. To avoid this judgement, homeowners can choose the short sale route. A lawyer can often negotiate a deficiency judgment waiver during the short sale process. If the homeowner’s lender agrees, the lawyer needs to include this special contingency in the short sale contract. The second way homeowners can avoid a deficiency judgement is to file either a Chapter 7 or 13 bankruptcy as mentioned above. A Chapter 7 bankruptcy could discharge the deficiency while a Chapter 13 would allow the homeowner to repay the deficiency over a period of time. Finally, a homeowner can simply agree to a consent foreclosure to avoid a deficiency judgement. If a homeowner agrees to willingly hand their property over to the bank — in order to avoid lengthy court process — the bank will waive its right to pursue a deficiency judgement. This is very similar to a deed in lieu of foreclosure. Keep Your Home California. The Keep Your Home California mortgage assistance grant is for California residents who receive unemployment benefits. Grant recipients can get up to $3,000 in monthly benefits, capped at $54,000 over an 18-month period. HUD Unemployment Option. The US Department of Housing and Urban Development (HUD) grants unemployed homeowners a Federal Housing Administration loan called the Home Affordable Unemployment Program. This is not exactly a grant but instead a suspension of mortgage payments for up to 12 months. Mortgage Assistance Loan Program. The Mortgage Assistance Loan Program offers homeowners at risk of foreclosure a silent loan up to $50,000. A silent loan means there are no interest or payments. The program holds a lien on the home, and the loan is repaid based on equity upon its sale. If you’re a homeowner, understanding how to avoid foreclosure is in your best interest. If you found any of our tips useful or you have any additional tips of your own, please share in the comments below.